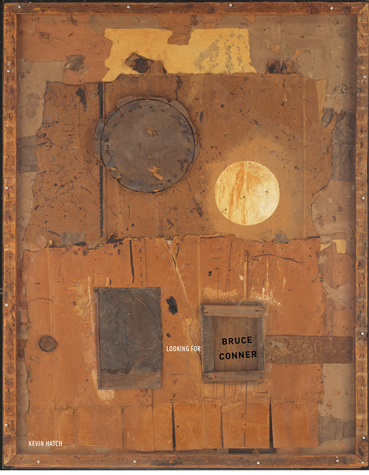 American artist Bruce Conner (1933–2008) is considered one of those art world figures that, while being very influential, was insufficiently understood. A new, richly illustrated book by Kevin Hatch aims to correct this by placing Conner’s work at the forefront of post-war avant-garde art. The book is centered around the idea of ”looking,” investigating what the action might have meant for Conner, who made artworks that both attract and repel the eye and drawings that disrupt normal viewing patterns. Hatch also argues that a deep anxiety pervades the wide-ranging works and changing personas of the artist, who had twice announced his own death and worked under several alter egos in an attempt to dodge any form of “belonging.” His art, too, was never classified or restricted to any one mode of expression. Influenced by San Francisco’s counter-cultural practices like beat poetry, punk music, and underground film with its hallucinatory, surreal images, Conner made found-footage films, ink-blot graphics, collages, tapestries, and sculptures from cast-off materials. He deliberately situated himself at the fringes of the art world, critiquing a system that was, in his view, increasingly obsessed with money, youth, the hip and the cool. In a letter addressed ”To a Young Artist,” published by The Brooklyn Rail magazine in 2005, he wrote: “I use the term artist as a functional excuse for my behavior,” suggesting a less pretentious definition of (his) art.